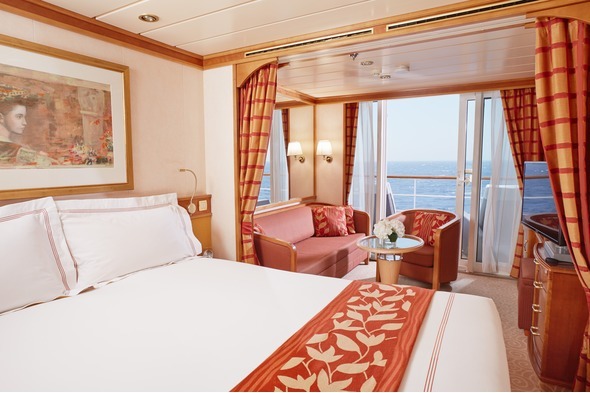 How much space do you really need on a cruise...? A cabin (and it really is a cabin, don't get fooled with fancy words like 'stateroom') in this grouping is going to be pretty compact, ranging from 'broom-cupboard' at the bottom end (up to about 130 square feet) to 'fine if you like to be out and about a lot' at the top… You will find that cabins on river cruises tend to fall into this bracket, unless you are paying quite a premium. This is the lead-in size for most luxury lines, with a verandah, at about 50 square feet, additional. The accommodation will probably be referred to as a suite, although it actually means a room with a separate, but not separated, sleeping and living area. Expect a bathroom with a tub and separate shower cubicle (be sure to double check this if a bathtub, or indeed a walk-in shower, is important to you), a walk-in closet, and a living area bathed in light from the balcony, with a two person sofa and chairs, table and desk/vanity unit. Now you are moving to something significantly more spacious. 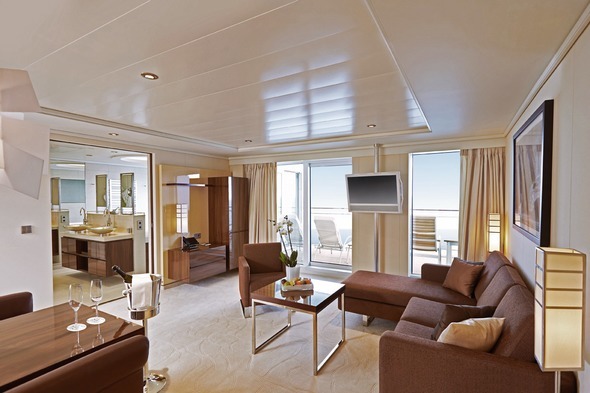 This is the sort of space you will get if you opt for Princess Grill on Cunard, or the Concierge Suites on Regent. You will have increased living area, so if you like to dine in your room, for example, there is plenty of space to enable you to do that, with a Butler or Steward to serve you. There will be far more storage and display space so if you are travelling for a while and like to bring things from home with you (photos, books etc) this will work fine. Now you're talking! You are up to Penthouse space here, and you will probably have a separated bedroom and a full living/dining area. Because of the width of the suite, you will have extra verandah space, more than enough for a couple of loungers and probably a table and chairs too. A guest bathroom is likely - and this space is more than ample for entertaining maybe two or four guests. You are in the realms of the very special. 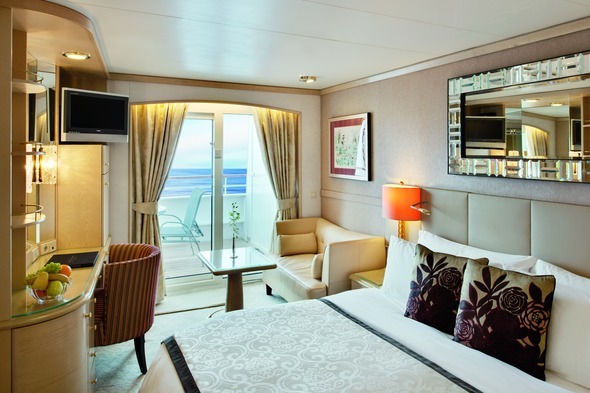 Suites of this size are likely to have been individually designed, with great artwork and quirky additional features (these are the cruise line showcase areas). 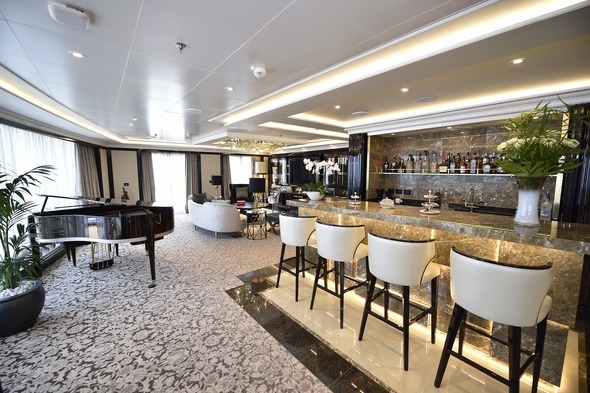 Expect lavish bathtubs, a full butler's pantry, separate dining area, maybe some gym equipment, and sufficient space that you needn't ever emerge from your suite if you don't fancy it, except maybe to go ashore. 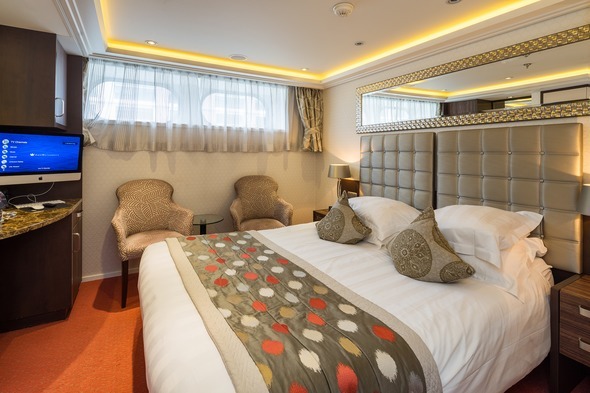 From the Queens Grill duplex apartments on Queen Mary 2, to Seven Seas Explorer's largest suite at sea (the Regent Suite at 3,875 square feet) or the Solstice Suite classes on Celebrity, this accommodation is ideal for family groups travelling together (there will often be a second bedroom, and sometimes the opportunity to annex additional adjoining rooms) and for people who are not prepared to compromise in any way whilst on holiday. 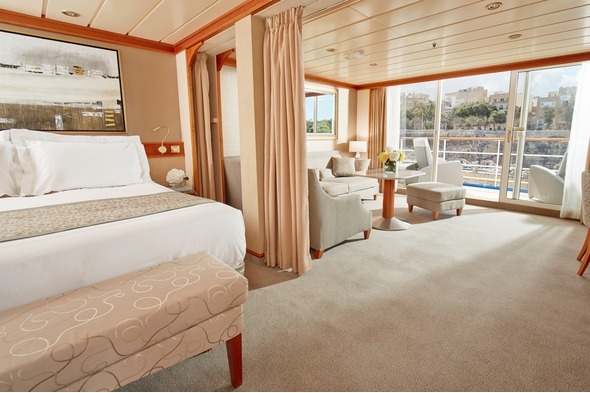 A great choice for longer voyages, or trips with plenty of sea days.